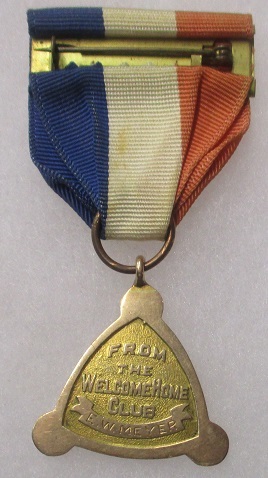 10k gold WWI 'victory medal' for the 308th Ammunition Train Company, 32nd & 83rd Division’s. 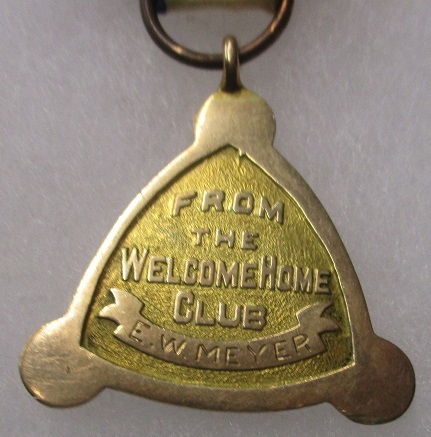 The reverse reads "From the Welcome Home Club" and is inscribed to "E.W. 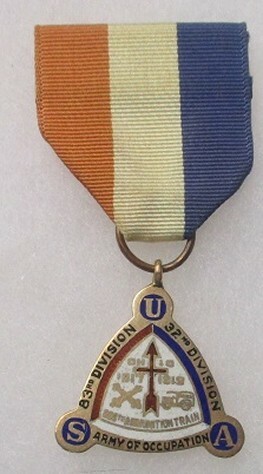 Meyer”. Unresearched.